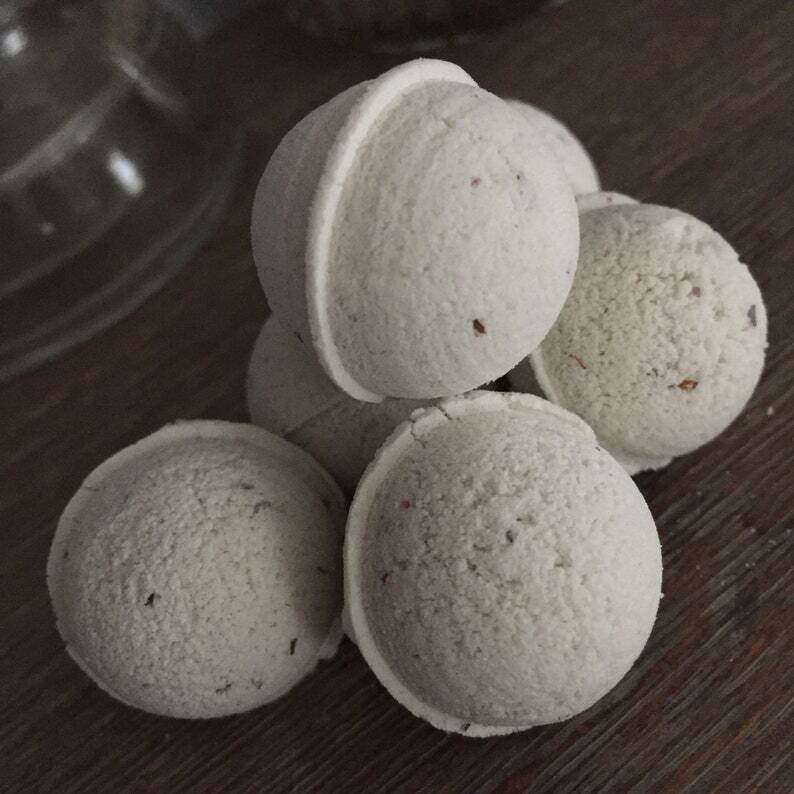 The little bath bombs are actually fizzy facial toner tabs! 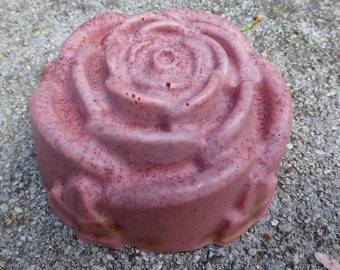 🍃🍃 Rose essential oil, rose hydrosol, and rose petals are anti inflammatory, antiseptic, and helps refine your skin. It's said to help calm redness! The scent is a wonderful antidepressant and calming. 🍃🍃 Tea Tree Essential Oil has antibacterial, antifungal, and antiviral properties and stimulates the immune system. It's great for treating acne marks and active break outs. 🍃🍃 Lavender essential oil is used to not only help repair and sooth the skin, but to sooth your mind as well. Lavender oil is known for it's relaxing fragrance. 🍃🍃 Clary Sage essential oil is antibacterial and astringent, it will help tighten and refresh skin. The scent is also uplifting and helps relieve stress. 🍃🍃 Witch Hazel distillate isn't the alcohol laden toner you're thinking it is. Witch Hazel is a great astringent, anti-inflammatory, and anti-oxidant that is reported to have good circulation, wound healing, and and bruise healing effects. It contains proanthocyanins, which play a role in the stabilization of collagen and elastin in our skin, and it extremely anti oxidant. It stimulates blood circulation and is a good venous constrictor so it reduces the look of redness in your skin and helps reduce swelling. You will get 6 (six) one inch round fizzy bombs. Drop a sphere into a bowl of steaming hot water. Place a towel over your head and keeping your eyes closed, let the steam open your pores and help you relax after a busy day. You can bottle the liquid once it's cooled and use it to swipe across your face throughout the day, as well, making your own liquid toner. A little goes a long way! I only use organic and non-gmo oils and butters and use locally sourced ingredients when I can! All of my products are soy free. 🐘 Although I am a Certified Aromatherapist I am not a medical professional so my products make no medical or curative claims.